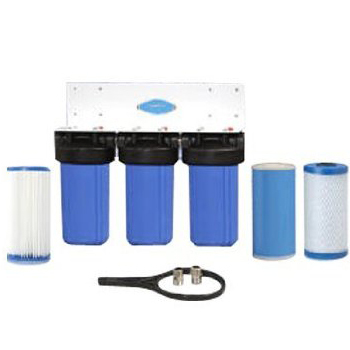 Heavy-duty Big Blue Whole House Water Filter by Crystal Quest is an 8 stage filter system guaranteed to deliver healthy, better-tasting water for your family. 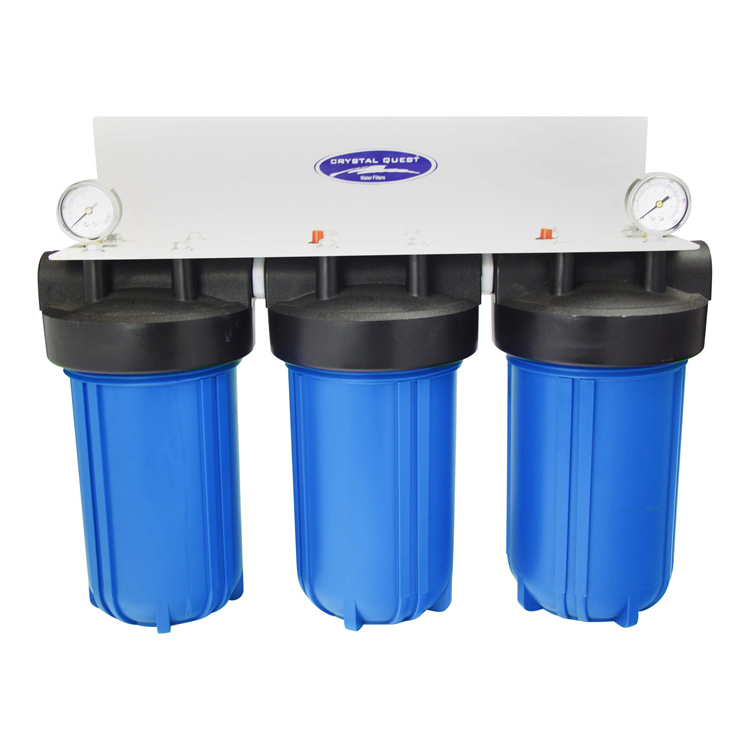 Filtration process is distributed into 3 10" x 5" "Big Blue" cartridges specifically designed for high flow applications. The CQE-WH-01106 system is equipped with a Sediment filter, Standard Multi-Stage(6-stage) filter and the Solid Carbon filter cartridges. The Big Blue cartridges are designed for high-flow water filtration applications. 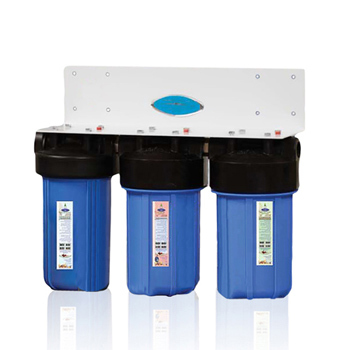 Tough and dependable, these unique, wide cartridges are capable of filtering enough water for a large house, apartment or busy office. These Whole House Filters are the most comprehensive and cost effective systems available in the market today. They are engineered for maximum filtration and maximum performance with minimal maintenance. This multi-filtration system easily handles your tough water problem providing you with great tasting, safer, softer, cleaner, better tasting water while removing hundreds of other contaminants. - Comes with Pressure release valve and wall bracket. - Two pressure gages included.